Heinz has promoted its UK marketing boss Giles Jepson to a Europe-wide role, as the food giant seeks to "simplify and strengthen" its European business. Jepson will take up the role of vice-president marketing for Heinz Europe, in addition to his current role as chief marketing officer for Heinz UK and Ireland. It follows the promotion of Matt Hill, an ex-Heinz UK CMO, to the position of president of Heinz Europe. 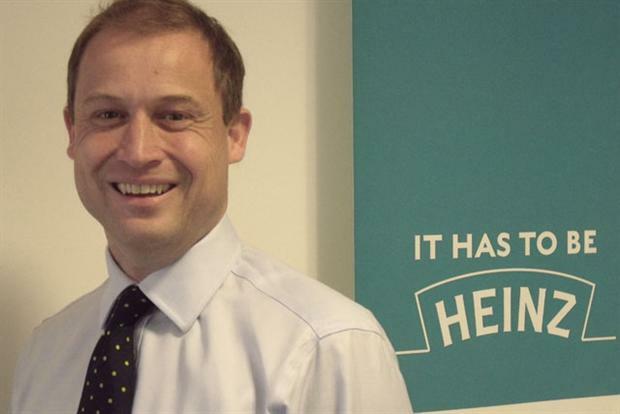 With Hill and Jepson joining the European team, Heinz has appointed Phil Jones, its chief customer officer for UK and Ireland, to the managing director role in the region. Both Jepson and Jones will report to Hill. Jepson has worked at Heinz since September 2008, moving from marketing director of beans, kids and meals, to marketing director of sauces, soups and Amoy, before taking on the role of director of the Heinz Explore team in 2011. He was made UK and Ireland chief marketing officer in April last year. In February, US financier Warren Buffett shocked the business world with a $28bn (£18bn) acquisition of Heinz, he biggest deal of its kind to date in the food industry.